“Coodabin-Shoodabin” collection is comprised of 130 individual photographs, painted photocopy montages, framed drawings and canvas paintings. 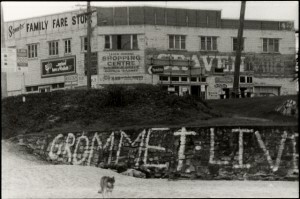 I began taking fotos around my holiday-home town with a 110 Kodak Instamatic when Coolum’s population was around 600 permanent residents. In the 1980’s, I purchaced a 2nd-hand Rico KR10 with 3 interchangable lenses. 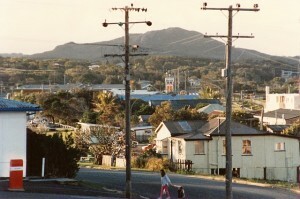 After 10 years away, I returned to live in Coolum in the year 2000. By 2005, I realised ‘Could-have-been-should-have-been’ is a metaphor for what we discuss when talking about change. 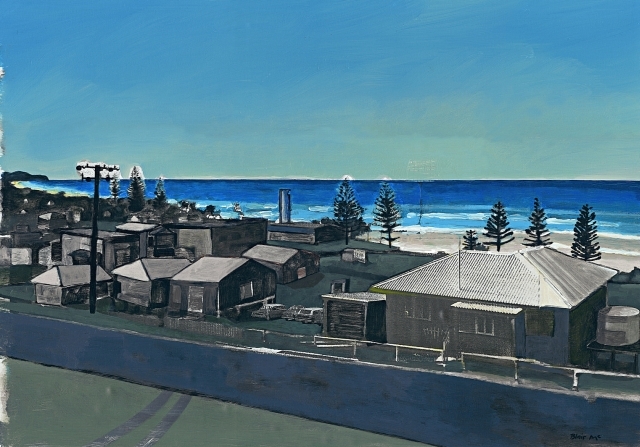 “Blueprint” (below), is a key image that represents the absurd pressures brought on by seachange in my hometown of Coolum during the 70’s and 80’s. 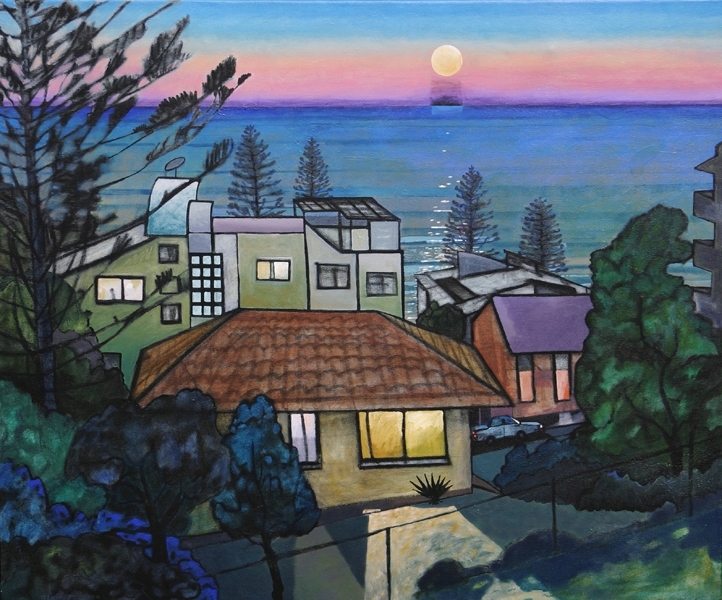 Many works from the “Cood-Shood” collection directly reference the view from my family’s Coolum Terrace holiday-house. Our Queenslander, one street back from the beach, was on the northern end of a hill-line that is geographically a natural amphitheater facing the open sea, all the way to Noosa. 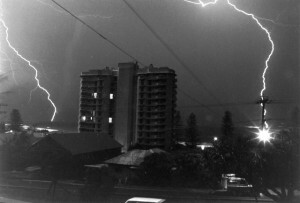 Locals reacted badly to the unrestrained so-called progress of the early 1980’s, especially during the 3 -10 year construction phase of two highrises allowed in Coolum. Being a painter in a small town made me a prime suspect for protest graffiti. 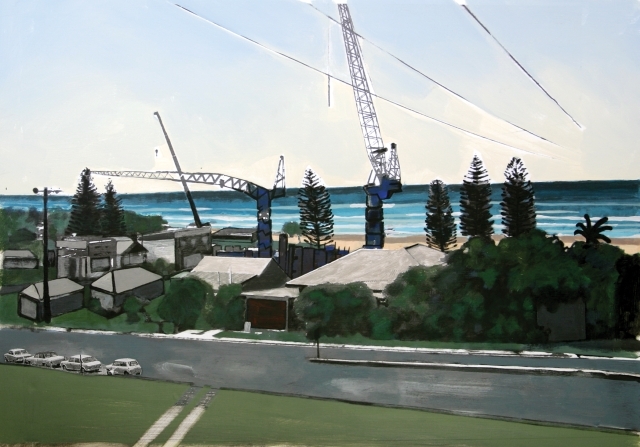 To document views gradually being blocked out I began to obstruct my seascapes with chopped up photocopies. In 2003 I drafted BLUEPRINT from a 1981 drawing created during the building of the first highrise in front of our home. To demonstrate the brutal impacts and dis-empowerment we were all feeling at the time, I glued a stark black and white photocopy of the highrise over my drawing to portray it as an alien monster menacing our beach. 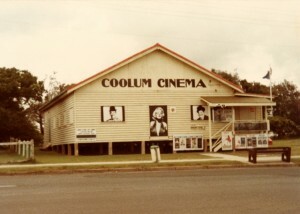 That same year, the release of Star Wars at the Coolum Cinema indicated this rising edifice was visually like a crashed spaceship. 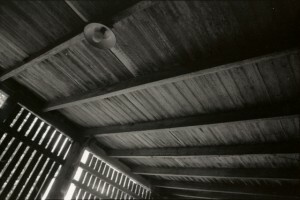 During 2005 I returned to site many times to establish new perspectives that would overlay my 1981 point-of-reference for BLUEPRINT. I initially chalked in the new unit blocks and later decided to leave them as box outlines to express my community’s on-going disappointment. 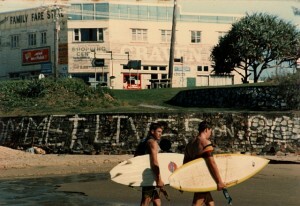 The use of violet (ghost) lines, middle-ground, are lost landmarks like the shark tower, picnic shed or missing Norfolk pines. June 2005 opening speech by Professor Peter Spearritt, Executive Director, The Brisbane Institute. 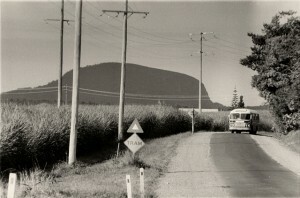 In the 1960’s most of Queensland was still a wild frontier of bush, beaches and dirt roads. With the coming of mass car ownership most people could now access the areas beyond their towns. 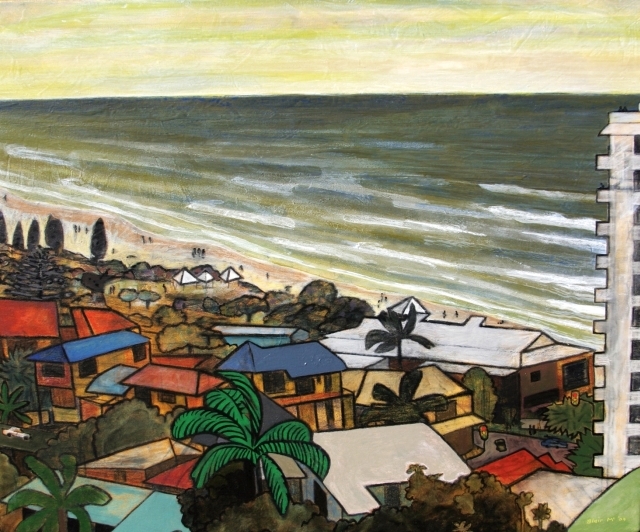 The freedom of the automobile made weekend travel to the surf beaches of the north or south coasts (as they were known) increasingly popular. 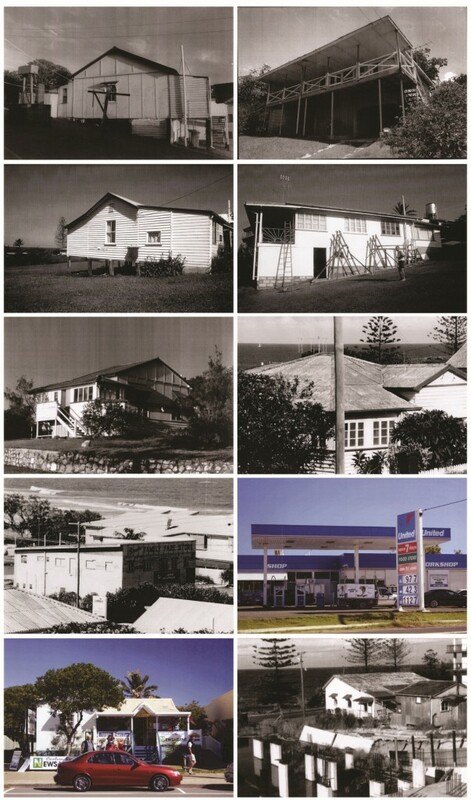 In the 1950’s the North Coast consisted of a number of beachside resorts (like the Boolarong), with only two major towns, Caloundra and Nambour. 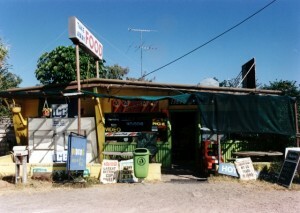 Fibro surf life saving clubs were to be found at the major beaches and caravan and camping grounds provided the main form of holiday accommodation. 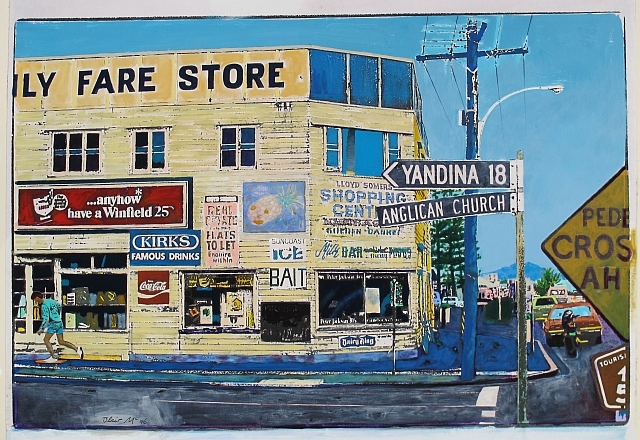 By the mid sixties, motels and holiday apartments had sprung up and canal estates started. 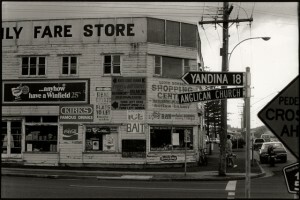 During the seventies most people had still never been to the far North Coast. With improvements to the Bruce Highway and the opening of the Maroochy Airport, the coastal villages of the coast came within easy reach of daytrippers from Brisbane and holidaymakers from the southern states. 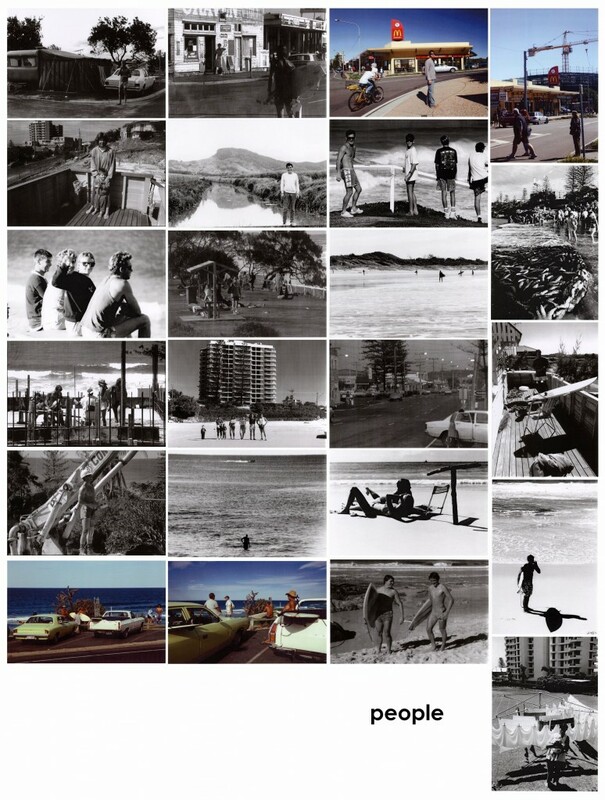 So popular did the localities become that many started to lose their individuality, as Mooloolaba merged into Alexandra Headlands and Maroochydore to the north and Kawana to the south. 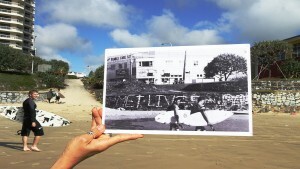 Coolum had avoided the bricks and mortar holiday makeover longer than other beaches and has managed to retain a sense of its own identity to this day. 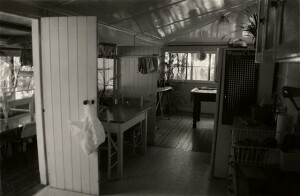 A mixed media art exhibition that ponders the paradoxes of the seachange phenomenon. 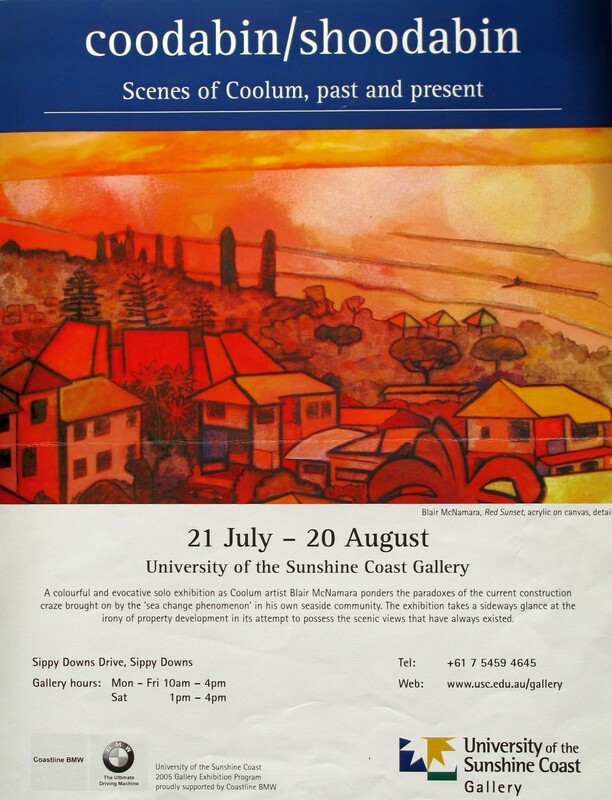 As a unique record of the past 25 –30 years of Sunshine Coast history, the coodabinshoodabin collection embodies, in mixed media art forms, the textures and spirit of Coolum Beach’s growth and evolution. 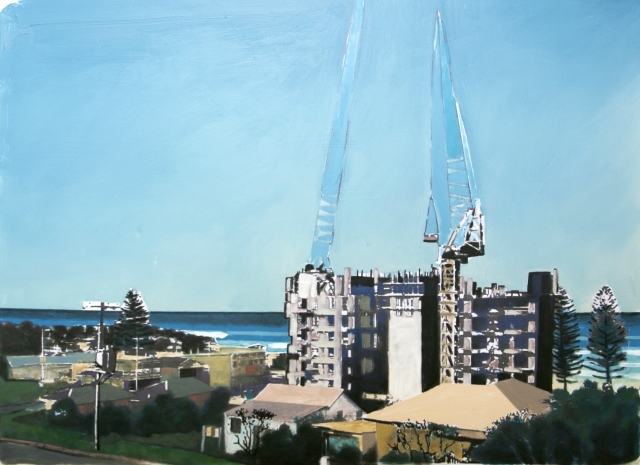 The exhibition peels away the present to reveal forgotten gems of the past and Coolum is represented as a case study covering all the positive and absurd pressures that continue to impact on all of our fragile coastal communities. 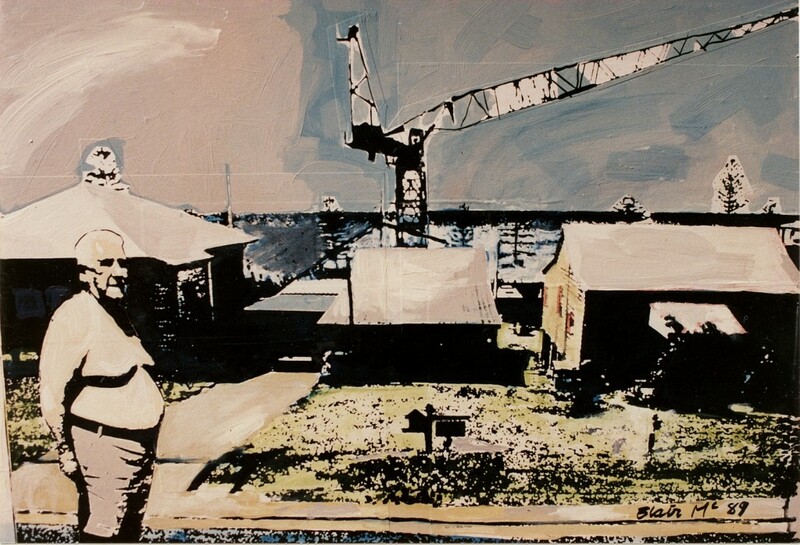 By using painting, photography, mixed media and sculptural form, McNamara sets up a seminal dialogue about his hometown culture and questions the past, present and future of seachange. 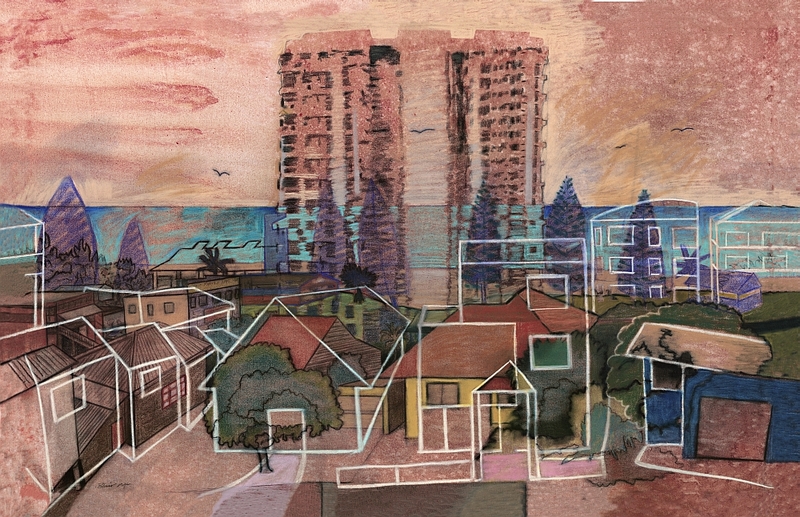 This focus, on years of gathered and specific information, has been assembled to enable a wide range of venues throughout Australia to host this exhibition and is accompanied by a community arts project. Commissioned by Cr. 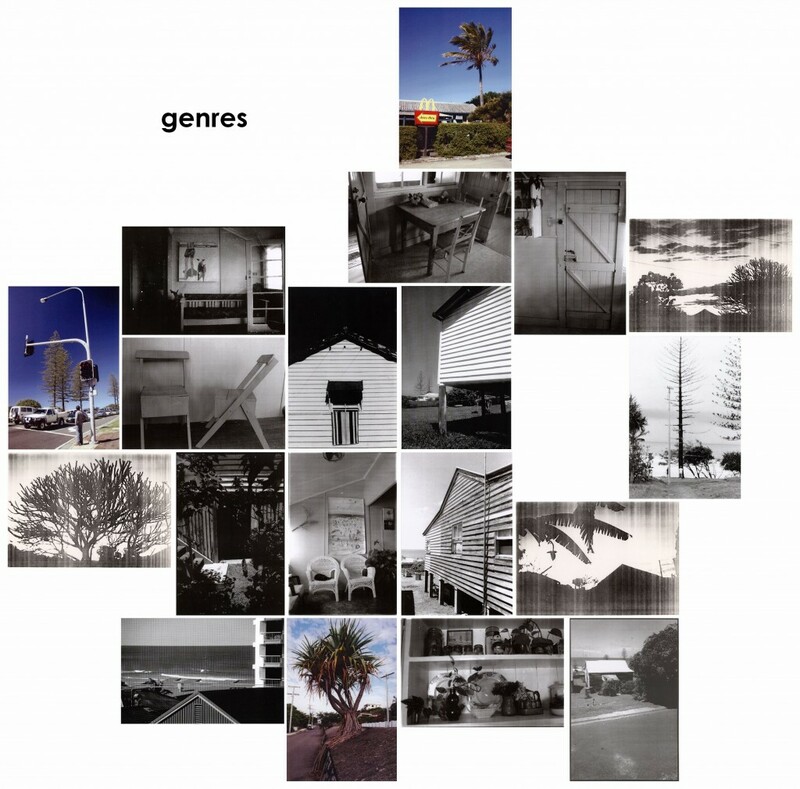 Gerry Gordon for the Coolum Library. Painted Photocopy Montages 830 x 1040mm. 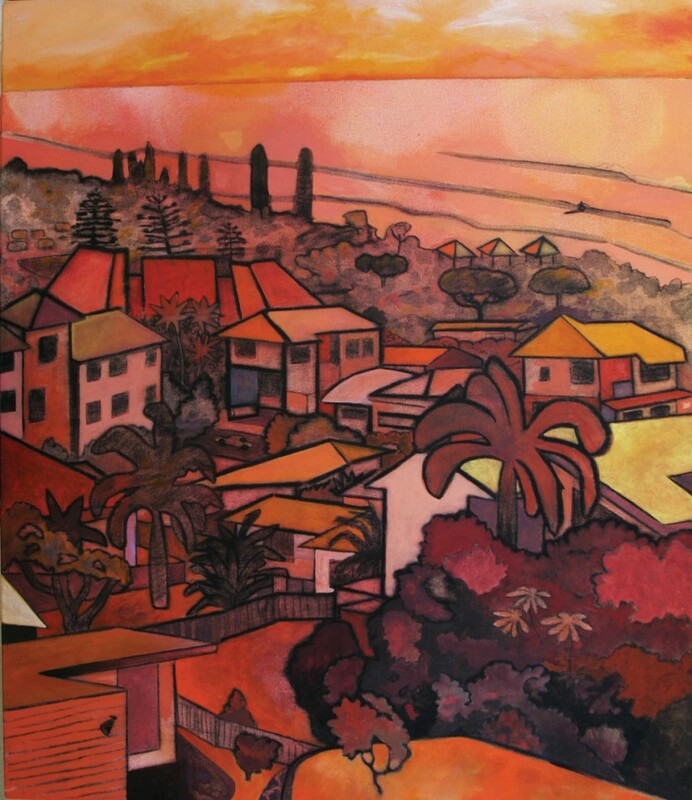 Mixed media paintings, 1200 x 1000mm, of Coolum in 2005. 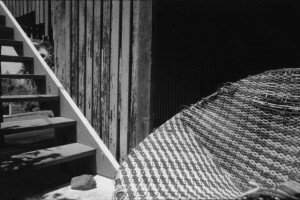 All photography & artwork are by Blair McNamara and are available for purchase. Well already everyone know of that buy generic cialis found with ease in the Internet. In distinctive on our website it is full of it. But you forget and constantly you ask.